We could write forever on our affection for Belgium. What’s not to love…beer, waffles, chips (fries), the best macchiatos, chocolate…did we already say beer? 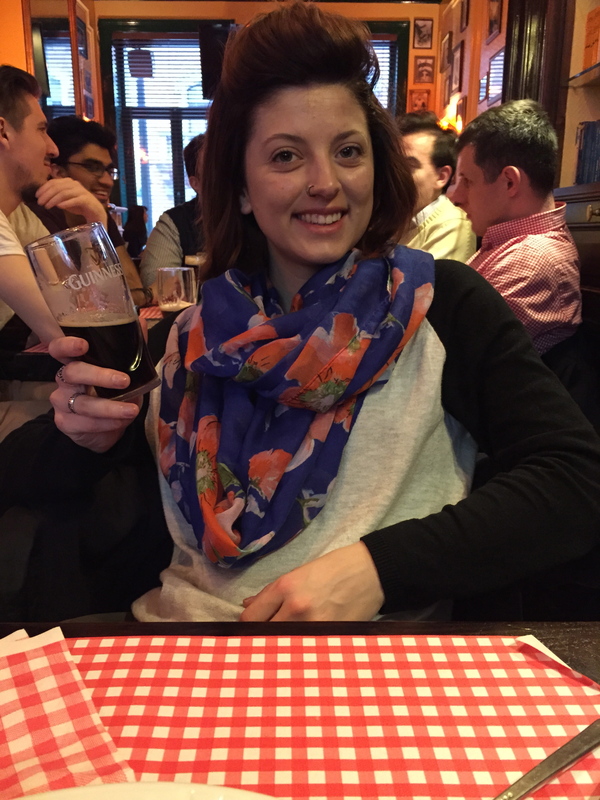 We started in Brussels and eventually made our way up to Bruges, both places we recommend visiting to get your Belgium on! Brussels is not only the capital of Belgium but also a major city for international and European politics. It is home to the European Commission, the executive body for the European Union where they propose legislation, enforce European law, and manage policies for the EU. If those kinds of things interest you, you can even arrange a tour of the commission and see how the EU operates. Even though a lot of the city is business and politically oriented, you will still be able to find a lot of cultural attractions, and you can definitely eat and drink your fill of Belgian specialties! The Brussels International airport has lots of flight options. It’s easy to navigate and easy to hop on a train to get into town straight from the airport. We took an early morning flight from Scotland to Belgium and hopped the train into town for $17 all together. The trip into the middle of town is about 15-20 minute rail ride and displays a lot of the outer suburbs of Brussels. The Belgian Rail website is a good tool to check timetables and distances between stations and was super helpful when we were planning and budgeting. Belgium is split between Dutch in the north and French in the South, although each region is bilingual in both, and English as a third language. Most signs are in French, Dutch, and most in English last – but there is always an English option so don’t be scared of communication barriers! Although the low season is from November to March, the warmest months to go are in April to October. You’ll find the most tourists during the summer from July to August. We were in Brussels during Easter weekend in April so it was pretty busy because of this, but the weather was pretty good to us for most of the weekend. There are lots of great neighborhoods to stay in Brussels and the one we found ourselves in one was an outer neighborhood called the European Quarter. Although it was more of a business-y neighborhood, there was some great pubs and restaurants around us, a metro stop, and close enough walking distance to the city center in case we needed some exercise. This was the first stop that we stayed in a hotel, and that was due to last minute planning so we ended up splurging a bit. Even still, we got a nice corner room with a great view of the sunset every night at New Hotel Charlemagne. ◊ Funky Monkey – Cheap bar food with cheap drinks and a fun atmosphere in the European Quarter. If you’re feeling very Belgian you can order some fries with mayonnaise! ◊ Hairy Canary – Across the street from the Funky Monkey was another Irish pub with just strictly drinks. 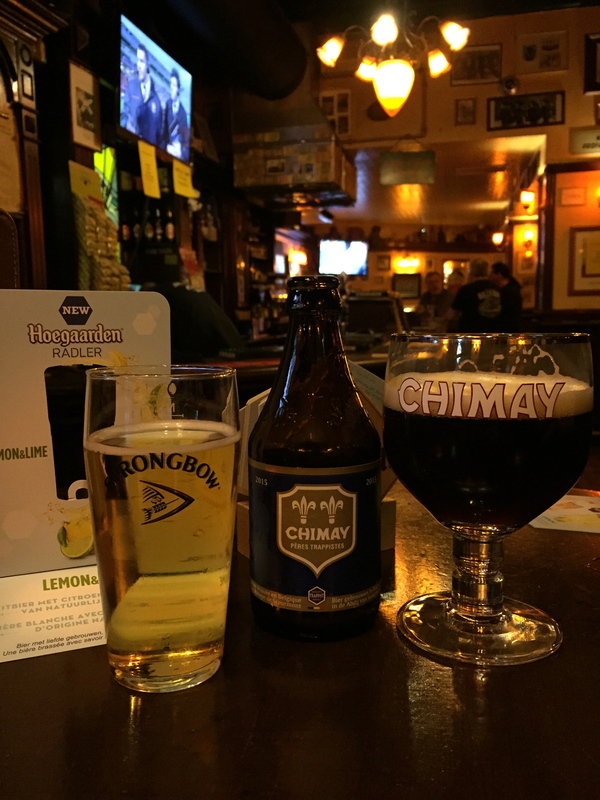 Make sure you order a Chimay, these babies run about $12 a pop in the States – but there is nothing quite like drinking it in Belgium for about $3. ◊ Gaufres de Bruxelles – You can find this poppin, two story restaurant in the heart of Brussels’ city center. This is where you go if you want sweet, chocolatey waffles, but you won’t be finding the most authentic Belgian waffles. It’s a good place to start and then work your way to the good stuff! 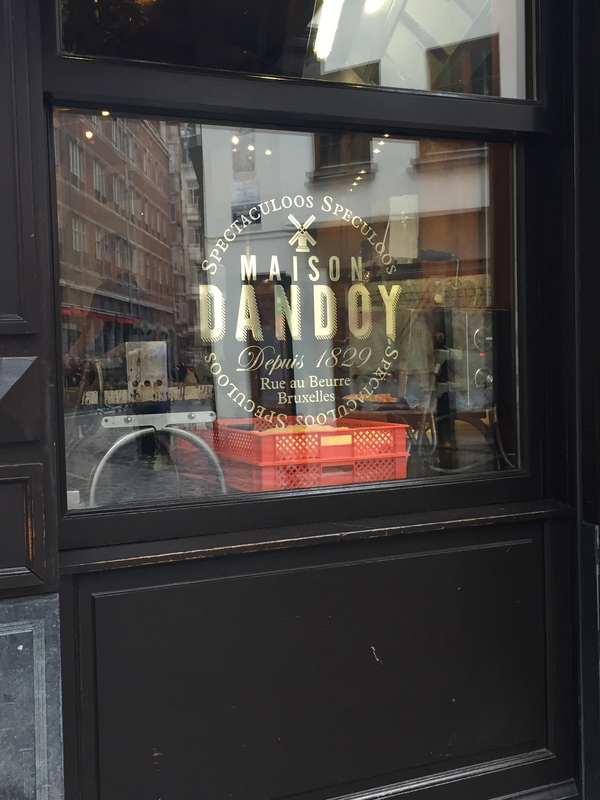 ◊ Maison Dandoy – Tucked one street in from the center square, Maison Dandoy is primarily known for their biscuits – and have stores all over Belgium that sells only their cookies and treat. However, you can’t make a trip to Brussels without visiting the “tea room” and ordering Liege waffles. The whole downstairs of Maison Dandoy is their storefront for biscuits on one side and freshly made waffles on the other. However, there is also a tiny staircase that leads to a small area upstairs for sitting and enjoying your waffles. It will probably be a bit of a wait, but Maison Dandoy will deliver. Go for the natural Liege waffle with a little garnish of powder sugar on top and let your test buds sing! Leige waffles are a little more dense than traditional waffles and the dough is more like a bread dough, made with a specific pearl sugar that caramelizes when cooked. They are served warm and fresh and are the definition of scrumptious. Maison Dandoy has a pretty extensive menu and serves a lot of yummy coffee drinks but every time we went we only ordered the traditional Liege waffle so if anyone ever eats here and gets something else, you’ll have to tell us how the rest of the menu is! This is the worst picture of the outside, but I remembered to take it just as we were leaving! ◊ Aksum Coffee House – Aksum is named after a town in Ethiopia and has owners and baristas that hail from the country. Try a sip of the best macchiatos on the planet while interpreting the African art on the walls and looking at the old African newspapers that decorate the tables. This is one of our favorite coffee houses we’ve ever been! Although Brussels is a pretty big city, most of the “touristy” things to do are located within a fairly small radius. Most of what we saw we walked to, besides the occasional metro ride. We’ll take you along on our self guided walking tour of Brussels! and guildhalls surrounding these buildings. The Grand Place was named the most beautiful square in Europe and every year also holds the flower carpet festival – where the entire square is filled with begonias and made into a beautiful carpet pattern. I would definitely recommend researching that because all of the photos I’ve seen of it are BEAUTIFUL and probably a sweet experience. We didn’t go into any of the big buildings, but we did journey down a few alleyways and into some shops. Down every little side street is something fun and different – and we found ourselves in the biggest chocolate shop I’ve ever stepped inside. La Belgique Gourmande has some of the most unique and delicious chocolates and treats around, so of course we had to partake! You must feast on some liquor infused chocolates! The towering structure of St. Michael Cathedral is another hard to miss attraction while in Brussels. When you’ve had your fill of touristy Brussels, we recommend journeying towards the outer city a bit and starting here at the church. It is a functioning Catholic church but you can walk through and marvel at the intricate details and stained glass windows. They were starting all their Easter festivities so we walked around with the hum of the choir echoing off the walls. We didn’t spend a ton of time here, but there is some cool stuff to look at – like a super intricate hand carved wooden pulpit – that’s worth the visit inside. 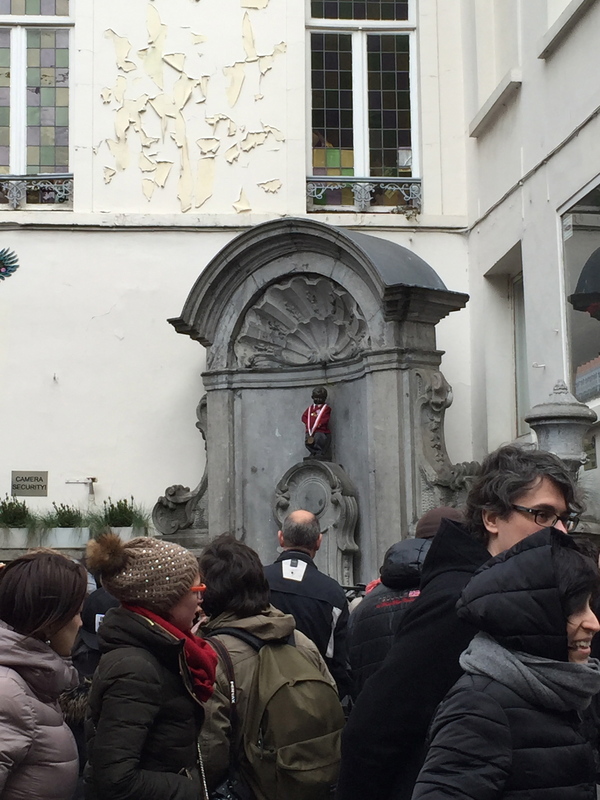 If you’ve seen anything online about Brussels, you’ve probably heard of Manneken Pis. We happened upon it by chance, but seriously, don’t go out of your way to see this thing. It’s got to be the weirdest tourist monument we’ve seen to date. It actually is a little disturbing how many people flock to this statue in a hurry to get up front for a pic. It’s a statue of a little boy peeing into a basin – that for centuries, people have dressed up and decorated. We took a pic to commemorate how weird and bizarre a tourist attraction it is, but otherwise we could do without it for a trip to Brussels. 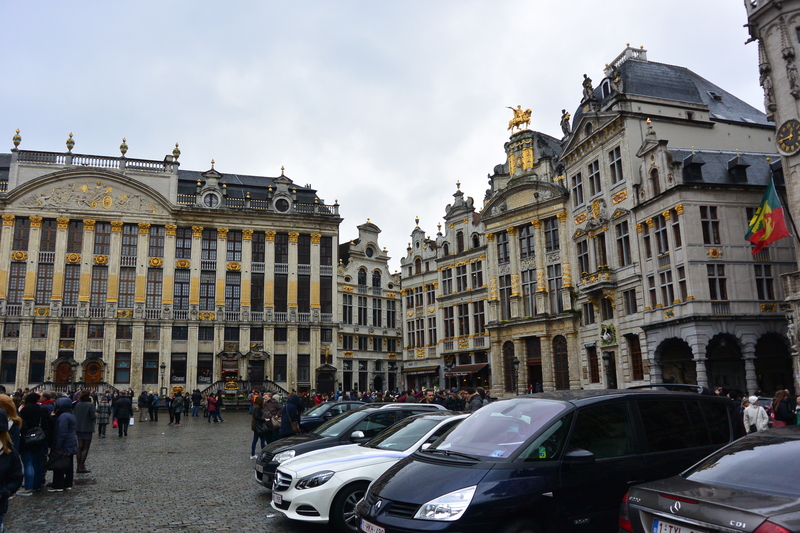 After seeing Manneken Pis, we headed for the Palace of Justice – not on purpose, but just because it was the biggest building we could see from the inner city. Truthfully, we didn’t even know what we were taking pictures of, we just knew it had to be somewhat important if it was so massive and busy. There was also an elevator that took you from the bottom of the street to the upper street so you were ground level with the building and gave a killer view of the rest of the city. We later learned that it is a functioning courthouse and you can take tours inside for free during the months of July and August. It is also rumored that it was one of Hitler’s favorite buildings! From here you can either go towards the ritzy shopping district, back towards the Grand Market, or if you’re like us, you see a gigantic castle-looking building and figure out how to get there from where you are immediately. We didn’t even care what it was, just knew we had to figure out what it was. Soooo, we got our handy dandy map and figured out what train station we had to get off at and headed there! The easiest way to get to Basilica Koekelberg is by taking the Metro from wherever you’re at to the “Simonis/Elizabeth” stop. There’s a big, quiet park that leads up to the Basilica that adds to the ambiance of the massive building. The neighborhood around the church and park were also pretty quiet and deserted so it makes for a nice little stroll talking about the contrast between here and the rest of the city. I’ll be honest and say, the outside is far more impressive than the inside. Although this cathedral ranks 5th largest in the world, it lacks the intricate detail we have seen in many other churches around Europe. 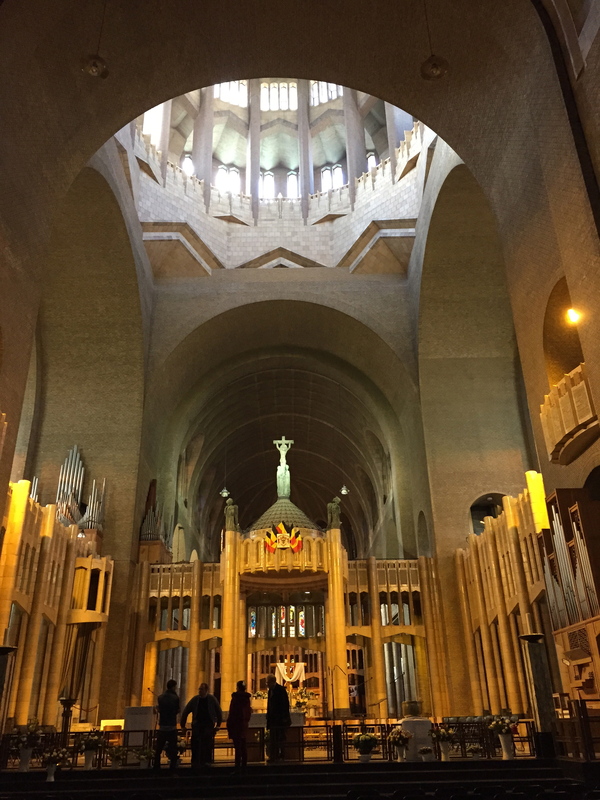 This cathedral’s construction started on the 75th anniversary of Belgian independence, is the largest Art Deco style building in the world, and houses a restaurant upon entrance, two museums, and even a theater! It’s a cool little side trek out of the hustle and bustle of Brussels and the exterior was pretty neat, but you don’t have to go out of your way to visit the actual cathedral interior. The one exception is if the tower is open and you can take the elevator (5€) to see the 360° panorama views of the city, then it’s definitely worth it! The Quartier Royale or the Upper Town, is where you will find the Royal Palace and the Parliament, in some of the most beautiful buildings outside of the Grand Place. After your tour of the city, head back into the city center for some mussels, it is Brussels speciality after all! Then you should definitely make your way to the have a nice Belgian ale at Delirium! ◊ Delirium Cafe – This is arguably Brussels most famous bar that has more than 2000 beers to offer. You might have seen their little pink elephant before! From what we’ve heard, this place is ALWAYS packed and seems a little more of a tourist place than a local hangout, but we think it is a must when going to Brussels! It’s a fun little place to have a drink and socialize with other tourists for a bit. If you scrolled thus far and you’re wondering why you didn’t see the tall metallic structure of the Atomium, it’s because we did not make the trek out to see it. Honestly, we just didn’t understand the hype behind it. If you’re interested in visiting though, here’s the website for checking out visiting times and info! Do you share our Belgian love affair? Any must sees in Brussels the next time around? Let us know in the comments below! Hey guys! Being from belgium and knowing the country extremely well, I want to complement you on the story! I enjoyed the read! 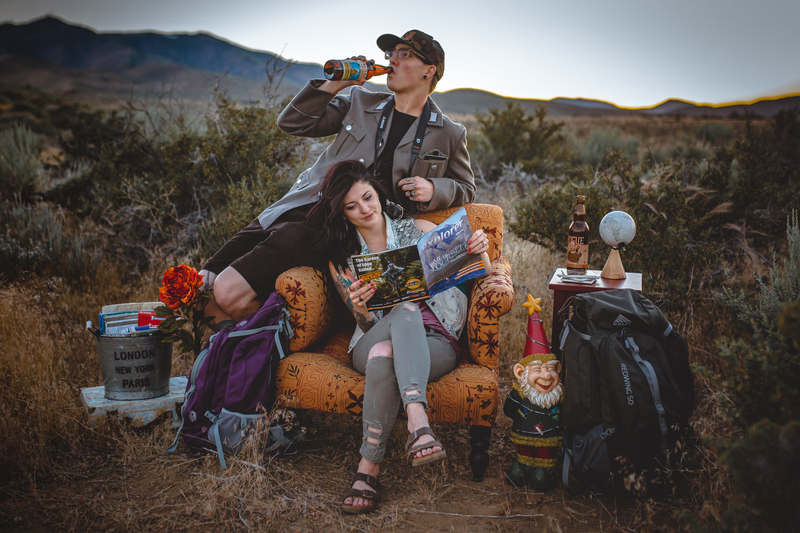 I am glad you guys got to enjoy my home country 🙂 Also, being a fellow Manogue graduate with you both, I think its super cool seeing what you are doing. I literally plan to do the same thing as you guys and I think you guys have started off even better then I could! (Primarily because your past the planning stage and officially doing the travels part) Keep it up! Hey Guys! Thats so sweet of you! Thanks for reading! !